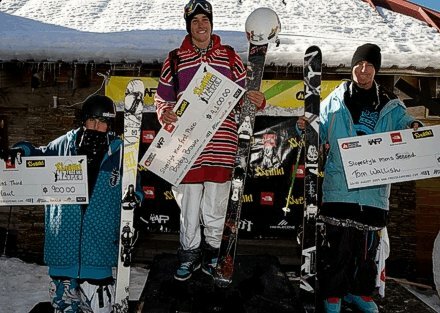 Brown, 18 and a number of other riders were performing breathtaking double corks, which are some of the latest innovations performed by only the world’s most talented freeskiers, but it was Brown’s style with his double corked 1080 which separated him on the judging sheet. “The slopestyle course was awesome. I loved it,” said Brown. “It was the best competition I’ve been in for a long time, the event had a great feel and there were a lot of people around.” Brown shared the podium with Tom Wallish, of USA and Henrik Harlaut, of Sweden, who placed third.